For decades, while most sports have been able to steadily increase engagement with audiences through video, swimming has lagged behind. 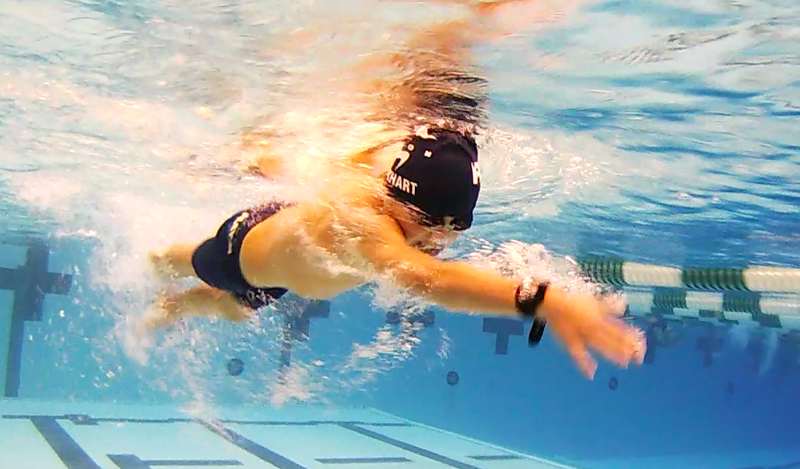 With the recent availability of low-cost, internet-connected cameras, swimming has begin to take advantage of the benefits of video. Swimmers and coaches are now able to use video for broadcast and training more easily than ever before. While other sports embraced video decades ago as a means for refining technique, that wasn’t an option in the pool due to technological limitations. Coaches and elite swimmers made adjustments based on guesswork and feel. Those days are officially over. At the recent U.S. national championships in Indianapolis, swimmers watched underwater recordings of their races on one of eight television monitors within minutes of finishing their heats. Those recordings are also allowing the sport to catch up to the analytics craze: At the end of each race, coaches and swimmers now study metrics such as average stroke rate and 15-meter splits. They also study algorithim-generated illustrations—developed through a partnership between BMW and USA Swimming—that are overlaid onto video footage to show where the swimmers’ bodies veered away from the ideal angles for cutting through the water. The article goes on to quote top swimmers and coaches, who talk about the ways that underwater video is helping them gather critical data to improve their swimmers’ performance. You can read the full article in The Wall Street Journal.